The way to walk a tightrope is to keep one's sight on the goal, never looking down to the ground nor over our shoulder at what is behind. 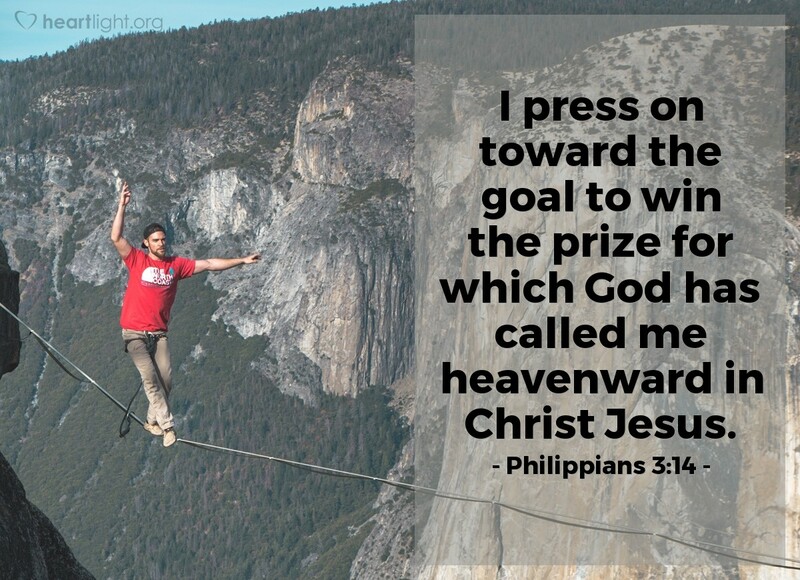 The way to walk with Jesus is to keep our eye on the goal, his victory waiting for us when he returns, not on the ground (our failures) and not what is behind (our accomplishments). The goal of the Christian walk is to keep walking toward Jesus until we walk with him in heaven.